Guyana Football Federation (GFF) Technical Director Claude Bolton said he is enthusiastic about the national team’s chances at the impending CFU Futsal Championship following the conclusion of a three-day trial staged at the National Gymnasium. “Technical Director Claude Bolton said that he’s enthused about Guyana’s chances at next year’s CFU Futsal Tournament, set for January 22 – 26 in Cuba,” a press release from the GFF stated. Approximately 30 players gathered that the National Gymnasium for the three-day trial which was conducted by Bolton and former men’s National team head coach Denzil Thompson. Bolton, who served as the head coach for Canada’s National Futsal team, explained that the squad will now be trimmed to between 16 and 18 players. The players will also participate in a mini-camp from January 9 – 11. Guyana will compete in Group ‘A’ along with Trinidad and Tobago, Antigua and Barbuda and Haiti while in Group ‘B’, host Cuba will be joined by St Maarten, Costa Rica and Guadeloupe. The top two teams from the Caribbean Football Union (CFU) tournament will advance to the CONCACAF Futsal Championship. The 2016 CONCACAF Futsal Championship will be held in Costa Rica in May. The team is expected to engage in a couple of warm up matches prior the Caribbean Football Union (CFU) event, but that will depend on the availability of funds, the release stated. 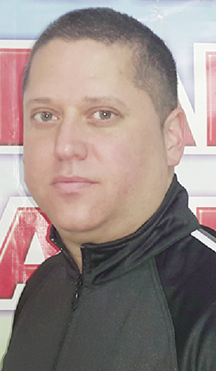 “Guyana participating in this tournament has a lot to do for us (the GFF) seeing where we are in Futsal since we’re attempting to develop all areas of football. We’ve planned that this will grow in years and will also help the Futsal programme as we move forward,” said Bolton. The CFU Futsal tournament acts as the CONCACAF qualifiers for the FIFA Futsal World Cup. The top four teams of the tournament will qualify for the 2016 FIFA Futsal World Cup in Colombia as the CONCACAF representatives. Guyana last participated at the CFU Futsal Tournament in 2008, finishing fourth behind winners and host Trinidad and Tobago, Haiti (second place) and Suriname (third place).